Werner's Cairns blog: The amazing Aloe Vera plant. The amazing Aloe Vera plant. Back in my days in Germany, I was a cactus and succulent enthusiast; I still am, and had a large collection of these plants. I knew then how good the jelly of the Aloe Vera was for burns and wounds. However research in recent years has found that there are many more benefits of this miraculous succulent. I grew Aloe Vera plants since I have been in Australia, just alone for the above mentioned reasons. They are easy to grow and for people in units they can be grown in pots. The Miraculous Health Benefits of Aloe Vera. Aloe Vera is perhaps the most genuine and versatile cure-all plant there is, offering a plethora of health benefits - the word 'Vera' after all, does mean true or genuine. In the past, it was considered to be the plant of immortality by the Egyptians, and has been used since time immemorial for its soothing and curing properties. The Aloe Vera plant is luscious with thick, fleshy stems and spiny leaves. The plant's miraculous benefits are located within the stems, which contain aloe juice and gel - a substance that is used in numerous medicinal, cosmetic, and health treatments. Aloe Vera juice can be bought (preferably organic, and pure) from a health shop or a well-stocked supermarket. Alternatively, if you've got a couple of plants at home, you can just as easily make your own juice. Cut and open a few stems of the plant from the middle section. Opt for the outer stems as they are the most mature, and have the highest concentration of antioxidants. Upon squeezing the stem, aloe gel will ooze out. Store it in a bowl, then put the gel in a blender and add 1 cup of water. To get pure aloe Vera juice, blend the ingredients and consume within 3-4 days, before it loses its antioxidants. What Makes Aloe Vera so Nutritious? Aloe Vera (both juice and gel) is packed with antioxidants and antibiotics and works as a stimulator of cell growth. It also has scar and pain inhibitor properties. The entire leaf is at times used to treat ulcerative colitis, metastatic cancer, infectious disease and chemotherapy treatment. The plant is also rich in the following vitamins and minerals, making it a highly nutritious ingredient. Calcium – Sodium – Iron – Potassium – Manganese – Zinc - Folic Acid - Vitamins A, B1, B2, B6, C, E - Amino Acids. 15 Health Benefits of Aloe Vera. Aloe juice can be consumed internally, or applied to the skin and hair. It is also a general health tonic that you can consume every morning to reap all of its benefits. 1. Use it to cure bowel problems. Due to its high anti-inflammatory properties, aloe vera is just the thing to take if you suffer from bowel problems. It promotes good bacteria in the gut and keeps all digestive disorders at bay. 2. Use it to treat Rheumatoid Arthritis. This auto-immune disease attacks the body tissues, especially the membranes lining the joints, causing inflammation and stiffness. Drinking aloe juice for two weeks however, can help reduce inflammation in the body. Aloe also contains anti-inflammatory compounds that help to reduce the pain and stiffness to a great extent. 3. Use it to treat acid reflux. If you suffer from severe digestive problems, drinking Aloe Vera juice reduces the symptoms of acid reflux, and stabilizes the alkaline levels of the body. Aloe juice has a soothing effect on stomach walls and reduces heart burn and discomfort. It is also an ideal treatment for constipation, due to its laxative properties. 4. Use it to reduce cholesterol levels. To keep your cholesterol levels in check, as well as increase levels of good cholesterol, include fresh aloe juice in your daily diet. 5. Use it to regulate blood sugar levels. 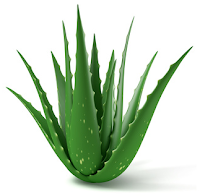 When consumed regularly, AloeVera helps regulate blood sugar levels. On this note though, it is important to consult with your doctor for the correct dosage. Often times, aloe can interfere with the medicines that you take to curb blood sugar. 6. Use it to relieve sinus and chest congestion. If you tend to suffer from constant sinus problems, opt for Aloe Vera. It's rich in magnesium lactate that works as an antihistamine, which helps in reducing the problems of sinus and chest inflammation due to various allergies. 7. Use it to help fight cancer. Aloe juice contains high levels of anti-carcinogenic properties that hinder the growth of tumours. 8. Use it to build immunity. Consuming aloe juice on a regular basis, replenishes the amino acid deficiency in your body. Due to its high vitamin content, aloe boosts your body's immune system and self-defence mechanism. 9. Use it to fight the common cold and cough. Aloe juice is the best natural solution for anyone who suffers regularly from colds, coughs, flu, stuffy nose, bronchitis and other respiratory disorders. Aloe contains a good dose of Vitamin C, which ensures protection from common colds that occur with environmental changes. 10. Use it to combat signs of aging. Aloe contains anti-aging properties, keeping the skin supple and rejuvenated. It also lightens blemishes. The gel can be rubbed directly on your face. 11. Use it to remove dead cells and stretch marks. Aloe Vera moisturizes the skin, and helps to remove dead cells, wrinkles and fine lines. The juice may also be used to remove stretch marks. 12. Use it to heal wounds. The blend may be used to heal cuts and wounds. It can also be used for dermatitis and insect bites when applied externally. 13. Use it to reduce eye irritation. It's easy to create your own natural eye wash with aloe vera gel - just mix 2 teaspoons of aloe gel in a cup of water. You can also add a teaspoon of boric acid. It's also the perfect remedy to reduce reddening and irritation in the eyes. 14. Use it to maintain gum health. Fresh aloe vera gel can be directly applied to the gums, reducing pain and inflammation. It can also be used to treat gum bleeding, caused by bacterial infection. 15. Use it to promote healthy weight loss. If you'd like to lose weight naturally, try Aloe Vera - an easy and natural weight loss solution that reduces weight by stabilizing the metabolic rate, reducing the lipid levels, and helping burn fat. Knowledge is having information. Wisdom knows what to do with it. Intelligence is doing it.-- Peter Stern. Thank you, Werner, for this interesting posting. We live in a unit and I certainly will now get an Aloe Vera plant in pot and put it on my balcony. This is really a miracle plant and a must have. Wow, I had no idea that this humble plant contains so much „Goodness“. You definitely persuaded me to get one of those plants, Werner. One is never too old to learn new things. Thank you for that, Werner, very interesting, I only knew the very first benefit of that plant! I hear you on Aloe Vera, brother! We used to have it growing at the back of our fire stations back in the days, to treat the inevitable minor burns that firemen get. Unfortunately for the logic and against all acquired knowledge, a politically-correct know-nothing workplace health and safety bureaucrat (a young sheila) came along and made sure it was 'safely' removed as it wasn't "recognised best practice". Aaaaargh! Coconut or olive oil that is the question? A handshake, what does mean?